← Where Are You Spending Your Summer Break? October 2018 UPDATE: I’m way sicker than when I wrote this post, and everything I thought would happen in 2015 has happened. Scroll down to the line to read my original entry for 70 Facts About My Invisible Illness. I bought a wheelchair in late 2017 because my mobility has been compromised by the addition of those two extra diagnoses I mentioned in March 2017. My step count is still low. I’m hovering between 1,500 and 3,000 steps per day and we’ve discovered with my medical team that GET (Graded Exercise Therapy) does not work when you have ME/Chronic Fatigue Syndrome on top of Ankylosing Spondylitis. I’m walking when I can and using my wheelchair when I hit 3,000 steps. My posts about AS Awareness have reached readers all over the world. My posts have connected me with 8 other people in Taiwan that have AS. Most importantly – for me – I am now at Tzu Chi Buddhist Hospital, where I am receiving better care than I was at my previous two hospitals. Despite the fact that this blog and my activity on social media has brought me into the public eye, there is still a lot that even my family and closest friends don’t know. I don’t write or post about my illness to gain sympathy or attention. I write to bring these issues out into the public eye. Autoimmune illnesses have been on the rise over the last 100 years, and most of them are labeled as invisible illnesses, which means you can’t really tell that a person is sick just by looking at them. Many of us struggle to be heard, to be believed and to receive the support we need to live our lives. My illness, for example, is severe enough that the possibility of being in a wheelchair is not far off. I’ve already been pushed around in a wheelchair on several occasions since falling ill. I’ve had to use a cane to walk. I’d probably be on disability as well if I didn’t work from home. I spent most of November 2016 in a wheelchair. So far, 2017 and 2018 have been the same. For simplicity’s sake, I’ve broken down these facts into readable sections. If you’re interested in learning more about chronic invisible illness or about what I go through on a regular day, read on. Many people think I only have Ankylosing Spondylitis, but autoimmune illnesses tend to form groups. If you have one, you will likely develop another. I also have Fibromyalgia, and I suffer from ME (Chronic Fatigue Syndrome), and chronic ear infections and skin rashes. In 2017, I added severe IBS, CRPS and PTSD from years of being ill to the mix. My doctors are also keeping a close eye on me because they think I am in the beginning phase of developing diabetes. I was diagnosed in 2009, but I was presenting symptoms in 1999. I have been sick for as far back as I can remember. I have always had aches, pains, fevers, rashes and infections that couldn’t be explained. Most people think I’m happy and upbeat, but that is the old Carrie. She’s still there from time to time, but I don’t see her much anymore. Living with a chronic illness is the hardest thing I’ve ever done. Some days I’m strong, but most days are a real struggle to get through. Some days I don’t leave my bed or couch. Some days I can’t even sit up to eat. At times, I’ve spent several days in bed because I simply don’t have the energy to move or because I hurt too much. I suffer from autoimmune fatigue all the time. Imagine how you feel on the worst day of having the flu. That’s how I feel most of the time. My body is so busy fighting the pain and inflammation, I don’t have any energy left for anything else. Mornings and late evenings are really hard for me. It can take 2-3 hours for the pain and stiffness to subside and for me to get moving. At night, I often cry myself to sleep because I can’t get my body to relax. I take more than 15 pills and supplements a day to manage my condition. The next step is injectables and IV infusions. Some of the drugs that I take to manage my condition are used to treat cancer patients. Most of them come with horrible side effects. AS and Fibromyalgia are rated on the McGill Pain Index as extremely painful diseases. The pain associated with these diseases comes very close to the pain experienced with childbirth. 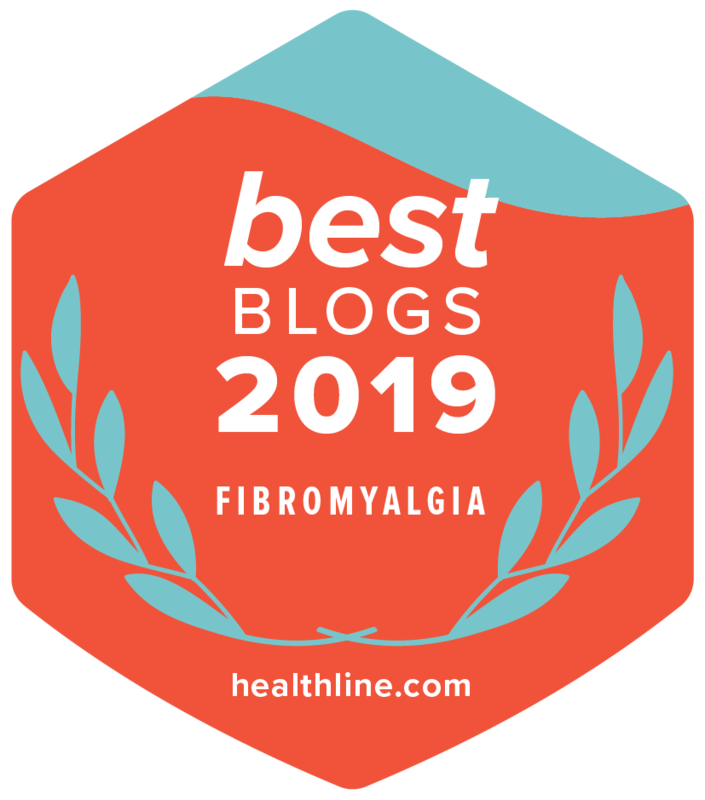 The main thing to remember is that childbirth doesn’t last forever, whereas you can look forward to a lifetime of unending pain with Fibro, ME, and AS. Some days are better than others, but just because I’m smiling doesn’t mean I’m not in pain. One of the hardest things for me to accept is that I never know how I’m going to be feeling or when a flare will hit. I miss being able to run, jump, and dance. I often can’t do more than an hour of basic physical activity (walking) before I get fatigued. This was reduced to 2o minutes of walking or standing in November 2016. Gentle exercise and activity is good for people with AS. Walking helps. Contact sports definitely don’t help. Walking makes me sicker because my energy levels are depleted at the mitochondrial level. I’m like a half-charged battery when I wake up every morning. It is really easy for me to overdo things. I never know how much activity is going to land me in bed. This is my new normal. I’ll never be the person I was 10 years ago, but I’m still me deep down inside. It has been hard to give up my independence and to accept that I need help most days. It’s hard for me to say no or accept my limitations. Having a chronic illness is very lonely and isolating. Everyone thinks I’m strong, but I’m not. I wallow in self-pity a lot. I retreat into a cocoon when things are really bad. When you’re in pain and there is no end in sight, all you can think about is how to ease your pain and when it will end. There is nothing else. I suffer from brain fog, anxiety and depression because of these diseases. I also suffer extreme anxiety and depression because of the drugs and their side effects. Depression is a real danger for me. Sometimes I can’t see the light at the end of the tunnel. On really bad days, I think about dying. Nothing else matters if you don’t have your health. Ankylosing Spondylitis is not old-age arthritis. It’s autoimmune arthritis. An autoimmune disease is one in which the body’s immune system mistakenly attacks normal cells. There are many types of autoimmune arthritis. You are probably most familiar with rheumatoid arthritis (RA), which happens when the immune system attacks the lining of the joints. This leads to inflammation that can affect the entire body. AS is very similar to Rheumatoid Arthritis. AS and RA are crippling and disabling. AS is arthritis of the spine that strikes young people, typically between the ages of 17 and 35. AS can also strike children as well. The youngest patient I know is nine years old. She has Juvenile Ankylosing Spondylitis. Akylosis means fusion, which may be fibrous or bony. Spondylitis means inflammation of the spine. AS is not a rare disease. It is more prevalent than Multiple Sclerosis (MS), Cystic Fibrosis (CF) and Lou Gehrig’s Disease (ALS) combined. Over half a million people in the US have AS. AS is difficult to diagnose in the early stages. It is the most overlooked cause of persistent back pain in young adults. The hallmark feature of AS is the involvement of the sacroiliac (SI) joints. My doctors were able to diagnose me with AS because when they took x-rays of my SI joints, they could clearly see the inflammation in that region. My doctor traced an outline on my x-ray for me and said, this is what AS looks like when it’s active. The average number of years it takes for a patient to be diagnosed with AS is 10 years. AS is a systemic and chronic inflammatory disease of unknown origin. It attacks your whole body. AS causes severe chronic pain, discomfort, and spinal stiffness. Frequent gastrointestinal infections can occur with AS. Almost all cases of AS are characterized by painful episodes known as flares. Flares are followed by periods of remission where symptoms subside. AS flares can last for months or even years. Pain sufferers often are misdiagnosed, misunderstood and miserable. Inflammation from AS can cause new bone formation on the spine, which causes the spine to fuse together. In severe cases of AS, the spine fuses in a forward-stooped posture. This is why AS is also called Bamboo Spine Disease. The exact cause of AS is unknown, but genetics plays a key role in AS. So does environment. Chronic pain is defined as any pain that lasts more than 12 weeks. Acute pain is a normal sensation that lets us know we’re injured. Chronic pain can be acute pain and it can persist for months or even longer. Chronic pain is the number one cause of adult disability in the US. Chronic pain places an emotional and financial burden on patients and on their families and caregivers. A patient’s unrelieved chronic pain problems often result in an inability to work and maintain health insurance. A recent Institute of Medicine Report states that pain is a significant public health problem that costs at least $560-$635 billion annually. Pain, especially chronic pain, affects more than your body. It’s psychologically stressful and can lead to emotions like anger, frustration, and suicidal thoughts. Pain and stress are a vicious circle: Pain increases stress levels, and stress can make pain worse. This can cause depression and make it difficult to concentrate. Chronic pain not only hurts, it also causes isolation and depression. Chronic pain is a challenge to treat because it is not understood well. Chronic pain is devastating. It damages productive lives and tears families apart. If you know someone who is in chronic pain, you probably want to help. Many people aren’t sure how to go about it, and sometimes a general offer of ‘Let me know what I can do’, isn’t enough. There are ways to show that you care though. Offer to come and visit. Just because your friend can’t get to you doesn’t mean she doesn’t want company. Don’t be offended if she says she doesn’t want visitors. Some people, especially me, don’t want others to witness their pain. I often say no to visitors in my home because I feel like I have to entertain them. My home is the one place I don’t have to work at putting a smile on my face when I’m in agony. Don’t tell your friend that you know how it feels. Suffering from the flu, having a broken leg, or dealing with a bad back don’t compare to what your friend is going through. In fact, your friend might be feeling like she has all three. If you don’t understand your friend’s condition, ask her questions. She would rather tell you than have you ‘think’ you know what’s going on. Don’t give unsolicited advice about her health. Don’t wait to be asked for help. If you want to help, just do it. Drop by with some food or offer to help change the bed or clean up. Offer to take her to the hospital and sit through appointments with her. Don’t stop inviting your friend to events because you think s/he might be offended by your invites. Try not to let your friend know that you feel uncomfortable around her. She is probably already aware of this. No one likes being around sick people. Show your friend that you support her by learning about her disease. Slow down and walk at your friend’s pace. Please feel free to reach out and let me know if I’ve missed any facts for this post? I’d love to hear from you. Thanks for this post. As a certified ESL teacher and an AS sufferer for 22 years your blog is an amazing find. I shall share this post with EVERYONE! Thanks, Jed. That is so great to hear. Are you living abroad and teaching at the moment? Hi Gabe. That is a really interesting question. How interesting that people told you in California that Lyme didn’t exist there! I have a similar story with Taiwan. I have asked many times about Lyme and been told many times in Taiwan – wait for it – just wait for it – THAT THERE ARE NO TICKS IN TAIWAN! I have been told this by two ‘experts’, who I left promptly, because ticks are everywhere and no one knows what those ticks in Taiwan are carrying. Two summers ago (August 2015), there was a huge outbreak of dengue fever and the government was warning people not to go into grassy areas with mosquitos and ticks. Apparently rheumatologists in Taiwan did not read that news. The consequences here, I suppose, are the same consequences Canadians and Americans are facing. Health insurance doesn’t cover the tests or treatments for Lyme Disease. The tests are extremely expensive, as are the treatments. I am so sorry you are dealing with late-stage Lyme. I have many friends that have late-stage Lyme. Many of those friends were originally in a private support group for other autoimmune issues that they had been diagnosed with before they figured out they had Lyme. I hope you are able to find some relief and some success with your treatments, Gabe. I’m glad you’re receiving better care, and impressed that you’re still so active with the advocacy groups! I’d love to interview with you. How would you like to set it up?